San Francisco: Key parts of the internet infrastructure face large-scale attacks that threaten the global system of web traffic, the internet’s address keeper warned Friday. The Internet Corporation for Assigned Names and Numbers (ICANN) declared after an emergency meeting “an ongoing and significant risk” to key parts of the infrastructure that affects the domains on which websites reside. “They are going after the internet infrastructure itself,” ICANN chief technology officer David Conrad told AFP. 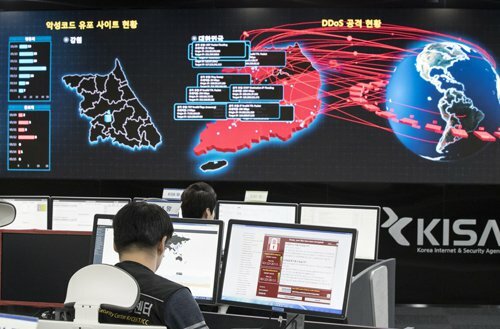 The attacks date back as far as 2017 but have sparked growing concerns from security researchers in recent weeks, which prompted the special meeting of ICANN. ICANN specialists and others say these attacks have a potential to snoop on data along the way, sneakily send the traffic elsewhere or enable the attackers to impersonate or “spoof” critical websites. “There isn’t a single tool to address this,” Conrad said, as ICANN called for an overall hardening of web defenses. “This is roughly equivalent to someone lying to the post office about your address, checking your mail, and then hand delivering it to your mailbox,” the US Department of Homeland Security said in a recent cybersecurity alert. DNSpionage attacks might date back to at least 2017, according to FireEye senior manager of cyber espionage analysis Ben Read. ICANN held an emergency meeting and is putting out word to website and online traffic handlers to ramp up security or leave users vulnerable to being tricked into trusting the wrong online venues. DNSpionage hackers appeared intent on stealing account credentials, such as email passwords, in Lebanon and the United Arab Emirates, according to Crowdstrike cyber security firm vice president of intelligence Adam Meyers. “You definitely need knowledge of how the internet works you and have to handle a lot of traffic being directed to you,” Meyers said of the DNSpionage hackers.